Twelve classic Christie short stories are given a modern spin in these BBC Radio 4 full-cast dramatisations. 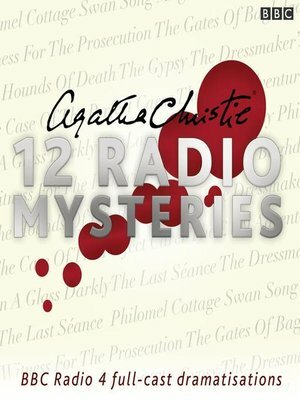 Agatha Christie is the acknowledged 'Queen of Crime', and these twelve short stories showcase her skilful plotting and talent for producing compelling mysteries. First broadcast in the early 2000s, the stories were adapted and brought up-to-date for a contemporary audience. Among the star cast are Tom Hollander, Emilia Fox, Patricia Routledge, Julia McKenzie, Neil Dudgeon, Richard Griffiths, Rebecca Front and Andrew Sachs. Unconventional detective Parker Pyne features in two of the stories, all twelve of which are infused with Agatha Christie's trademark tension and suspense. These tantalising tales of revenge, jealousy, love and death will thrill her many fans.